We love what you do, thank you! Stella Bradbrook was a fabulous Business Woman that attended our Essex events although you could often hear stories of her offering support to women across our network around the East of England (We are growing!) Stella sums up The BWN. It's about growing your own business however never leaving anyone else behind. Supporting each other to achieve what we wish to. This page is dedicated to Stella who was taken from us all. Julie Dallard attends our Braintree, Halstead, Colchester and Billericay events. Julie works for CHF. Networking with a difference. Whatever your skills bring them to the farm, work on the farm, in the cosy office, network, share and support this great charity. And hands on fun networking event with a difference. 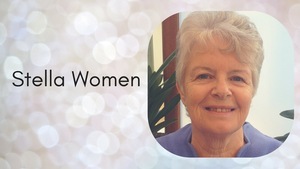 Susan is a passionate supporter of Dancing Giraffe and attends our Colchester and Ipswich events. Their is to provide a platform to inspire, inform and represent the Essex disabled community offering support and advice for people with disabilities, their carer/s, professionals, organisations and the media. Depending on the season depends on what beautiful merchandise Susan could be selling. From Christmas cards and toys to badges and bracelets! We are so pleased to say that at our Big Summer Essex event thanks to some swishing, raffle prizes kindly donated by our Essex and Suffolk business women and the hard work of Julie Dallard and her sister we raised over £60 for CHF. CHF is now our charity of the year for Essex and we look forward to raising more funds and awareness this Autumn. Would you like to support Julie and her work? There are lots of ways to do this. Julie attends our Essex events, please feel free to have a chat about how you could get involved. If you have a Golden Ticket and are supporting a charity, let us help spread the word. Would you like some additional ideas on how we can support your charity? Click here for our top 10 ideas - we are happy to help. Getting involved with a local charity is not just about raising funds. If you can help them with marketing, PR, website support, finances it all helps. Even tweeting and liking our Stella Women helps.